If you’ve learned one thing here or like my writing, do me a favor and share this page. Please do me a huge favor so I can get the word out about this site and learn which social network is the most popular with you guys. Please share this Social Network Experiment post with the social network you use most using the icons below. PS. If you share the page, please make a comment below as to which you used and why you like that social platform better than the others. I would also be interested to know if you see this pic out on the Web anywhere. Facebook, over time, will probably do you the best. Twitter has the most preppers, and you’ll find some success there using hash tags. Reddit has great prepper channels that’ll give you massive surges, but you can’t advertise yourself too much on there and they don’t become loyal followers. Pinterest has a growing prepper community. I just made my first tweet to @expertprepper who sent me a welcome for following him. No idea how the hashtags work yet. I use Pinterest. I find it easiest to keep everything organized and easy to find. I saw this come up on Pinterest. Repinned the pin, and after that “liked” on FB. Very cool. 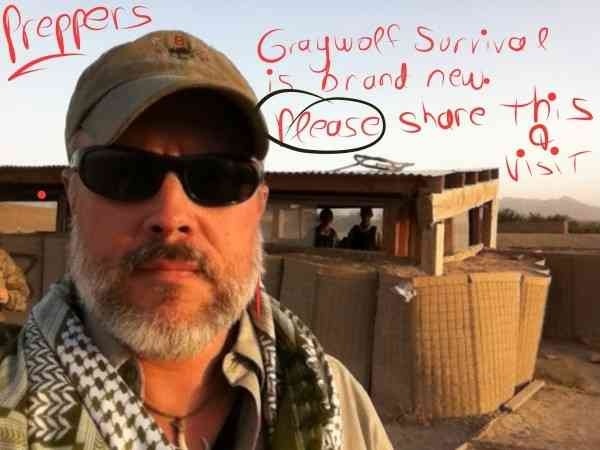 My Pinterest page is http://www.pinterest.com/graywolfactual/ in case you haven’t seen it yet. Thanks for letting me know.